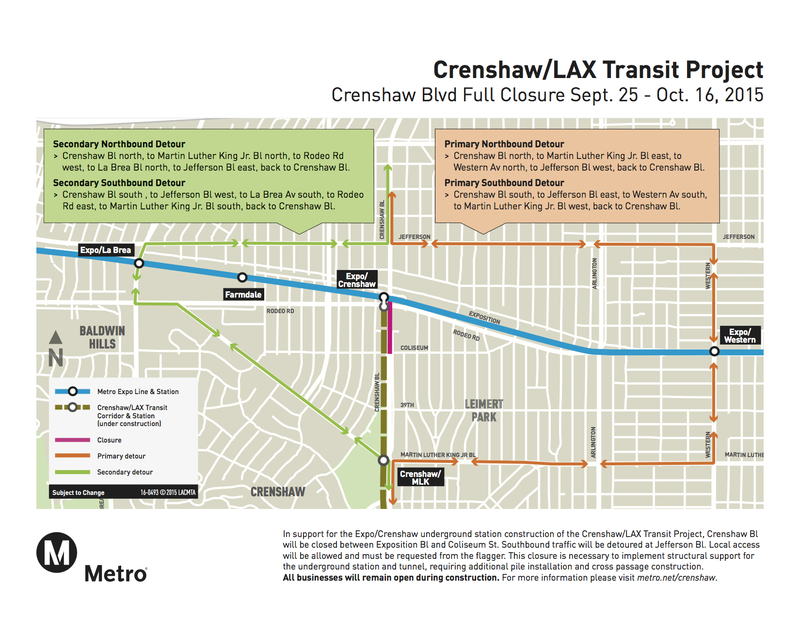 A 21-day full street closure will take place on Crenshaw Boulevard between Coliseum Street and Exposition Boulevard beginning Friday, September 25, for construction work on the Crenshaw/LAX Line. 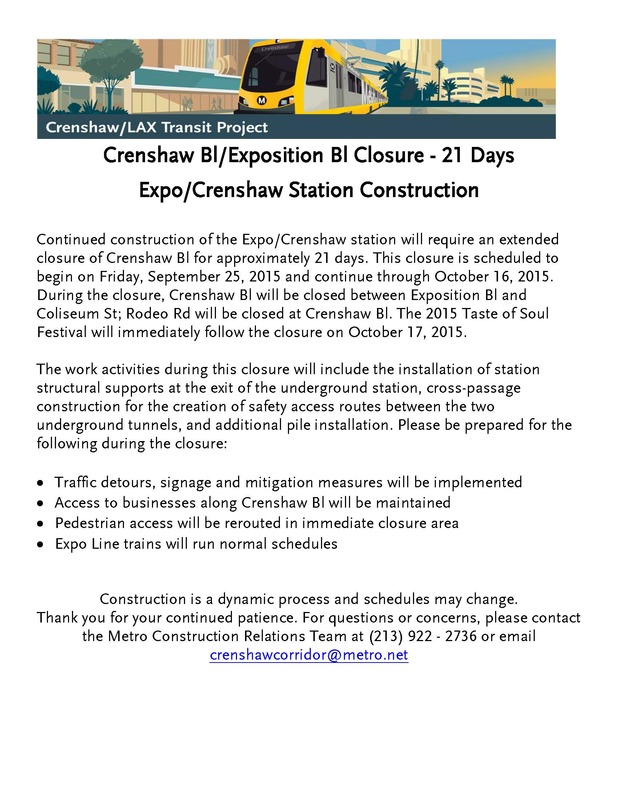 This closure is needed to perform chemical grouting just outside the southern end of the Expo/Crenshaw underground station. The tunnel boring machine will begin digging the southbound tunnel from this location. The detour map is above and the construction notice is below. Is there no map of where the closure is?